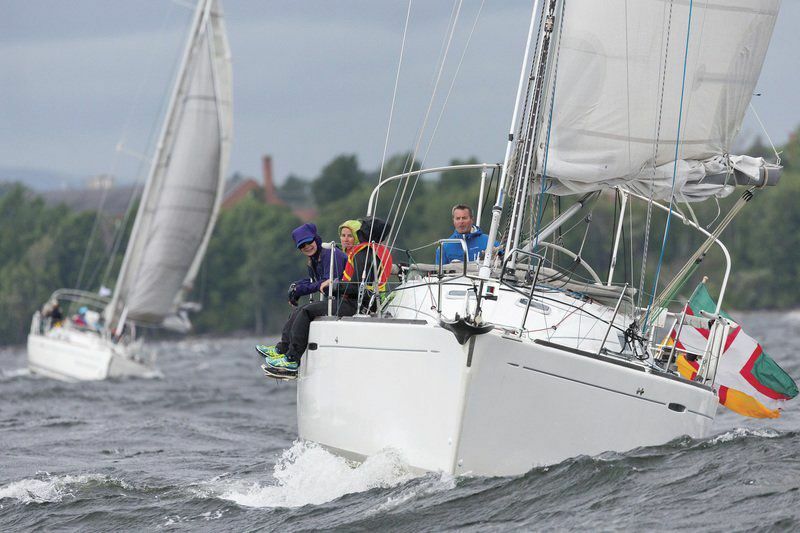 The rainy weather and high winds didn’t completely take the wind out of the sails of the 39th Annual Mayor’s Cup Regatta & Festival in Plattsburgh Saturday. The four day celebration kicked off Thursday. Organizers say 55 boats were signed up. Only 18 actually competed. “An extremely exciting and competitive race because of the elements, very, very strong winds and very rough water,” said Joanne Dahlen, Sunrise Rotary Club President. "I've been sailing for 42 years, soling, and it's the second windiest in my lifetime," said Peter Hall, a sailor from Montreal. Winds were blowing between 28-36 knots, that’s about 30-40 miles per hour. Plattsburgh’s Michael Parsons and his boat, Obelix, got the top prize in the Mayor’s Cup race. A Quebec man won the Rotary Club’s cruising race. The Regatta and Festival was paid a visit by the newly elected Rotary District Governor Nabil Oudeh. He traveled from Ottawa to attend the festival. The Rotary Clubs in Plattsburgh have been involved in the Mayor’s Cup since the early 1990’s. “Our district covers all the way from Northern New York all the way to Nunavut in the Arctic, and the District Governor is the one who is responsible for 70 clubs, we go around and visit the clubs, support them, encourage them, guide them,” said Oudeh. Rotary Clubs focus on community service, including building playgrounds and helping children in school.